So it was summer, I was playing as Webber and I had a thermal stone a tier 2 science machine, spider nest everywhere (cause I was webber), crock pot, and a endothermic fire pit, but one of my spider nest caught on fire and destroyed everything! I’m not gonna let that hate the game though, but there was nothing I could do about it! It was so unfair! Or maybe there was something I could do about it? I don’t think so though :(. If you guys can fix your glitches this game would be so good. First thing if you want to play this game, you should play it in Computer! Why??? Because play in phone: 1. Lack of update 2. Eat a lot of batteries 3. Your phone is getting hot in a few minutes after play 4. It’s hard to craft thing, need to click 1 by 1 !! 5. Last update, still got bug : no more giant monster in ROG !!! I’ve tried everything to get the sound to work on my phone for this app, but nothing works. I’ve closed it, deleted and reinstalled, turned the settings off and on. Nothing. I really wish I could fix this. As good as on Steam. Worth every penny! I originally bought this game on Steam, and after an hour of playing, got used to the controls for the iPad. Game is still ridicuously addictive, I love the added storyline. 10/10. My only complaint is that sometimes I accidentally attack something or set it on fire... kiting an enemy is also nearly impossible now. Can’t kite the tree guardians anymore, for instance. Still, considering this version of the game is built for a touchscreen, still awesome. 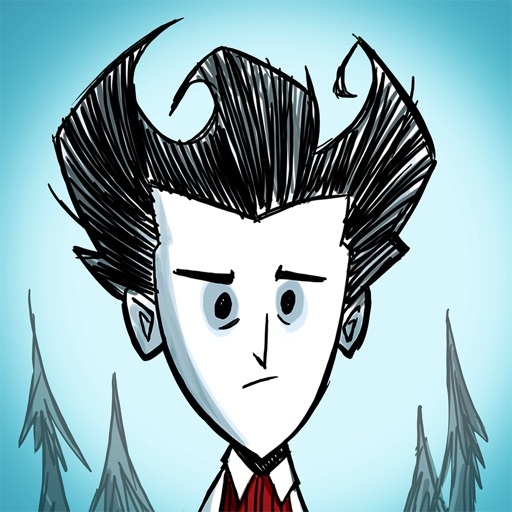 The replayability of Don’t Starve is ludicrous. I absolutely love this game but I really wish they would add a mode where you don’t have to completely restart upon dying (maybe you just lose your inventory). It’s really frustrating to be playing for a while and then losing everything.